A year ago I bought an awesome t-shirt on Threadless, 'Huggers' by freehand.dk (click here to see it) It has a white bear hugging a black bear, using the black negative space of the t-shirt for the black bear. I think it's incredibly clever. Recently a young friend, Sophie wore that same shirt in her smaller size - so cute! 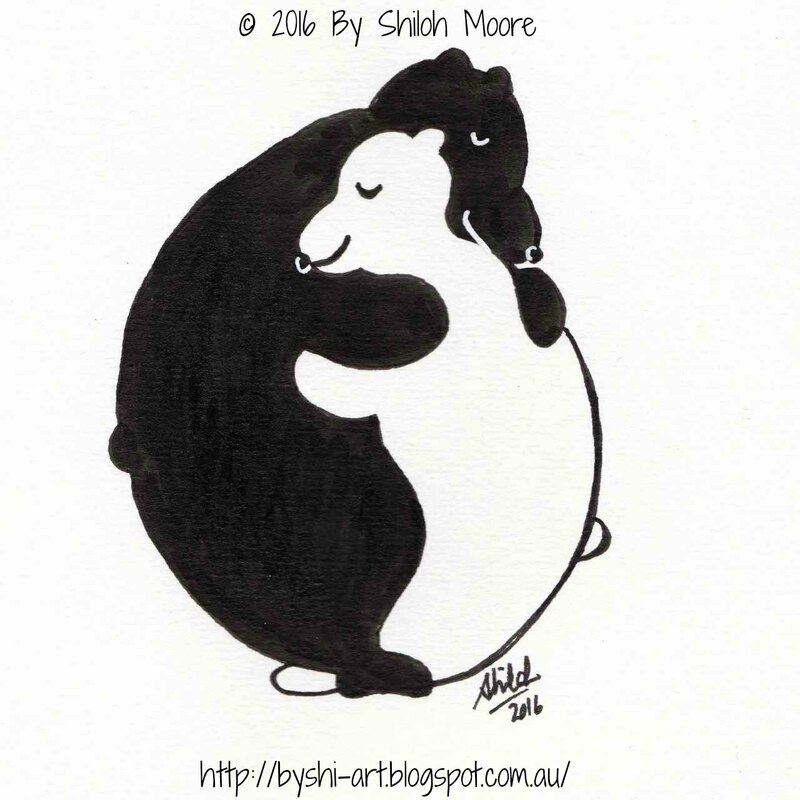 It reminded me how much I love the image, and inspired me to draw a similar bear hug, but using the bears to create a Yin Yang symbol. So 'Yin Yang Bear Hug' was born!